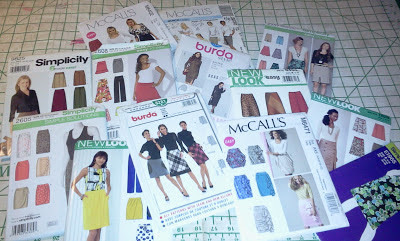 After seeing Faye's, carnival of skirts, I knew I needed to get a few made and have joined Faye's Carnival of Skirt Sew-a-along. I collect skirt patterns. 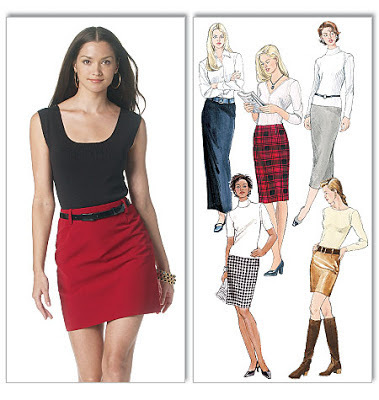 I enjoy the *idea* of a skirt, but rarely make any. Have fun with your skirt plan! I still trying to narrow down my skrit choice as well Sheila, lol! I can't wait to see the carnival of skirts. It'll be great! Your clean and organized sewing room sounds great too. Mine looks like a tornado went thru it! Its hard to make up your mind when you have so much to choose from. Opal, its so easy for me to become overwhelmed witn too many choices. I can become overwhelmed with choices, too. My carnival might turn into a full-on Cirque du Soleil by the time this is over! You've got lots to pick from. No matter what you pick I'm sure it will be fabulous!! !